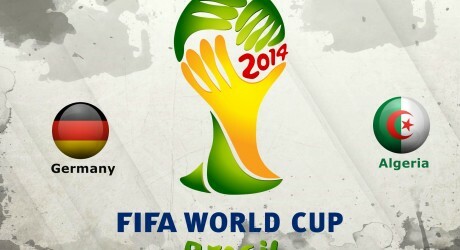 Germany vs Algeria football match of FIFA World Cup is another important match of the second stage of round 16. The match between Germany and Algeria will be started at 2000 GMT and this match of Germany v Algiers will be played at Estadio Bierra Rio, Porto Alegre, Brazil. Germany is the strong side if compare with Algiers, which is comparatively a weak side. Both the teams will try to show their brilliant performance. It is important, as the loser will finish its journey in the FIFA world cup 2014.